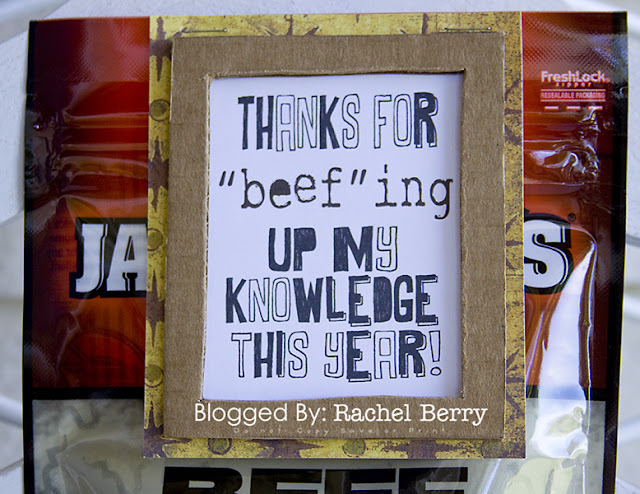 Okay here are the rest of the Teacher Gifts that I did this year. 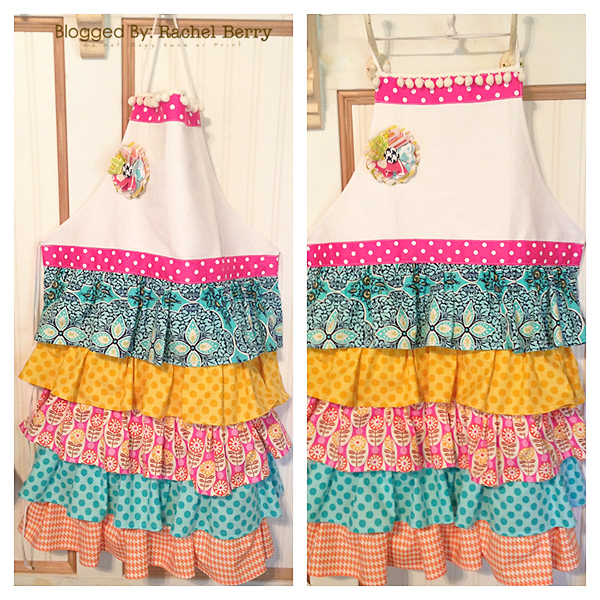 The Ruffle Apron's I've been making, are totally inspired by the Whatever Blog by Meg Duerksen. 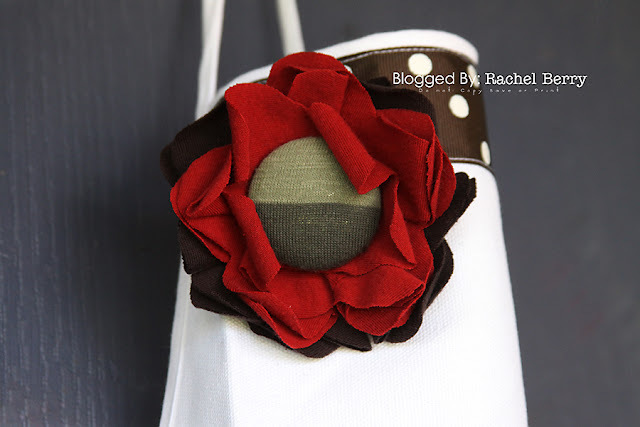 I've been an avid reader of her blog forever and am totally in love with her style and her craft weekends! 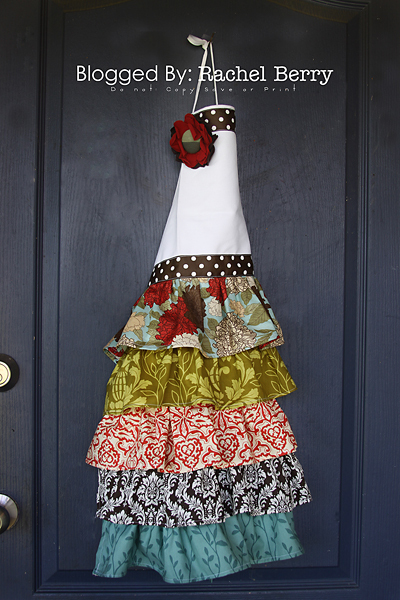 I've seen hundreds of ruffled aprons, but her mix of fabrics just makes me want to craft! I so so so love how it turned out. This one I already posted about, but here it is again. I made this one for Addison's Teacher. Brinley had a male Teacher this year, and one of his most favorite things is Beef Jerky. So I cut out a quick cardboard frame and printed out the note, then adhered it all to some manly scrapbook paper. 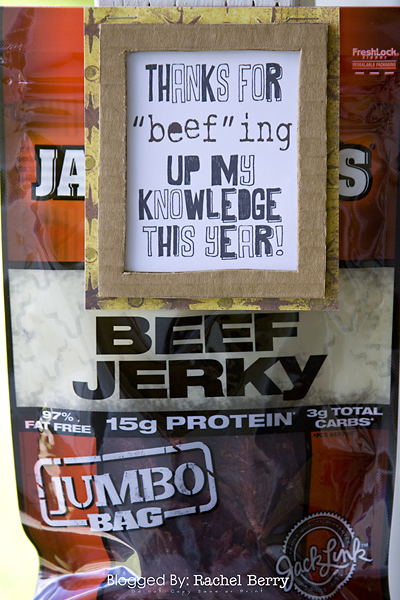 Then, I stapled it to the package of Jerky. We are into the full swing of summer vacation, in fact I have 8 kids at my house at this very moment. My friend Brooke is on her way home from The Farm Chicks Show and her booth did AMAZING, so I'm having her kiddo's over for the day. PS. i miss school and all our fabulous teacher so much already.